According to the Royal Spanish Academy a cojón is a testicle and cojones is an interjection used to express diverse moods, especially surprise, something odd or anger. This a polite way of translating cojones. The Real World Spanish translation is a guy’s nuts or balls. The renowned Spanish author and journalist Arturo Pérez Reverte wrote the column Cuestión de cojones in 1998 for El Semanal newspaper. In this column, published as a response to a letter sent by a furious reader, he makes reference to an anonymous manuscript called Riqueza del Castellano (The Richness of the Spanish Language). It turns out that this text is a thesis about the different uses and meanings of the word cojones. Fourteen years later on February 2012, radio station Onda Cero revived the audio of this famous script and transform it to a useful video. For the benefit of the Speaking Latino readers, we have broken down the content of the video in segments and translate the different meanings of cojones to English. Now I understand the complaints of foreigners because of the difficulties they have with the different meanings of a word in Spanish. An example of the richness of the Spanish language is the variety of meanings from one simple word, like the well-known and frequently-used to make reference to the “masculine attributes” COJONES. 26. Tiene los cojones grandes y bien plantados = Has large and well-positioned nuts. 27. Tiene los cojones como los del Caballo del Espartero = Has the balls like the Espartero horse. 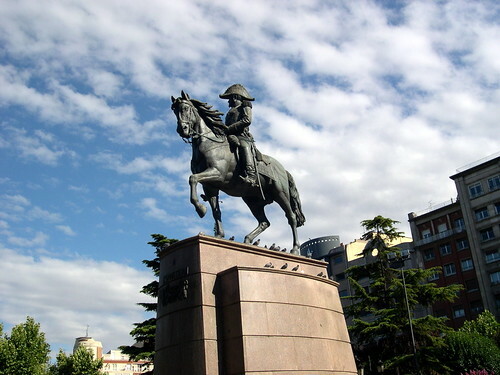 The phrase refers to an equestrian monument in honor of General Espartero in Madrid (seen in the opening photo of this post). There are other sayings that make reference to the size of the testicles of the horse and refer to bravery and courage. 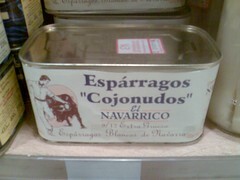 Those sayings are tienes más huevos que el caballo de Espartero and le ha echado más huevos que el caballo de Espartero with huevos in both cases being another slang term for balls. So, in about three minutes this video gave you 33 phrases using the word cojones. What other phrases with cojones are used in your country? 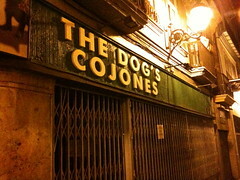 Do you think that cojones is the most diverse word in Spanish? What about chingar in Mexico, huevear in Chile and vaina in Dominican Republic? And finally, thank you to Natalia Fuentes (email: nfuentes@norintal.com), our resident Expert on Spanish from Spain for working through this with us.